Retire to Portland Oregon, it is considered a cosmopolitan city that is not only friendly but is ranked as having one of the best summer climates anywhere. Portland offers an array of gardens and parks, beautiful landscapes, great shopping and cuisine as well as an assortment of cafes, arts, and entertainment that distinguishes this city as the most ideal place to retire. 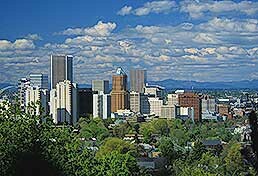 Living in Portland Oregon affords you the opportunity to become immersed in the natural beauty of Mt. Hood, Columbia River Gorge, and the wine country. Moreover, Portland has over 37,000 acres of parkland whose landscape is widely known to encompass more greenery than in any other state. Ranked fifth on its list of "100 Best Global Destinations, Portland has been called the “City of Roses.” Combining small town charm and big city life, among the many attractions include its historic town, museums, and galleries as well as its arts and entertainment, shopping, and cuisine. More importantly, however, Portland is committed to its environment and has the largest expanse of parks and landscapes which affords you the opportunity to enjoy this city’s eco-friendly and beautiful scenery. With its cozy atmosphere, friendly community, and lifestyle unsurpassed in livability, it’s no wonder so many retirees are choosing Portland as the ideal place to retire. With its modern transit system, getting around Portland couldn’t be easier and more pleasurable. For those of you who love walking, the city has short blocks which are lined with fountains and bridges that offer a tranquil and contemplative setting. Outdoor recreation is abundant in this city and between hiking, biking, fishing, and golfing, you’ll never run out of things to do. Retire to Portland and you will become part of a city which is devoted to its environment, whose atmosphere is not only friendly but is enriched by its culture, the arts, and allows one to enjoy all of amenities that adds to one’s quality of life in ways you cannot imagine. 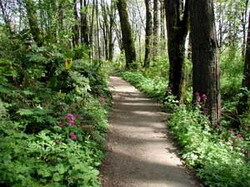 Discover and explore Portland's history in its parks and plants.